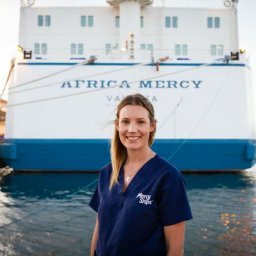 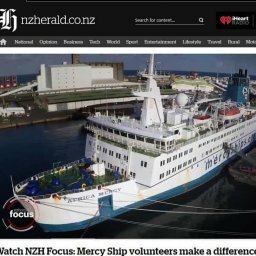 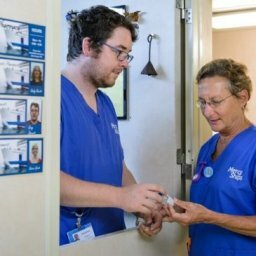 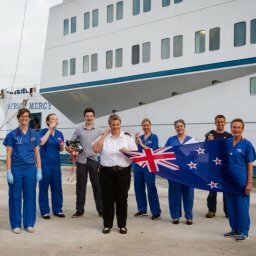 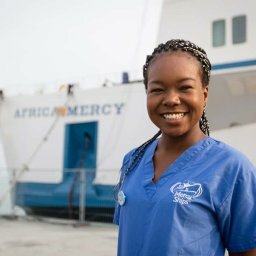 Emotions ran high as the Africa Mercy arrived into the port of Cotonou this week, beginning 10 months of healthcare service to the nation of Benin. 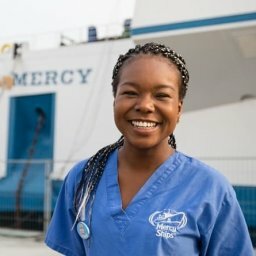 Mercy Ships crew member Emmanuel Essah, a native of Benin and a volunteer Biomedical Technician on the Africa Mercy, proudly handed his nation’s flag to First Lady Madame Claudine Gbenagnon Talon during the welcome ceremony. 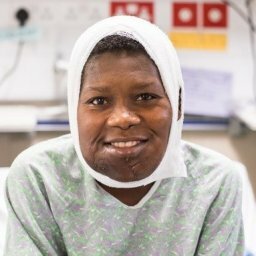 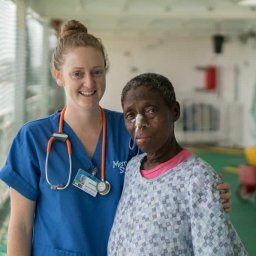 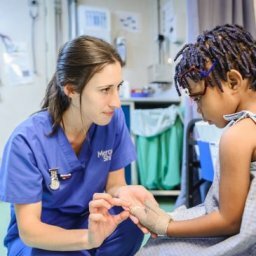 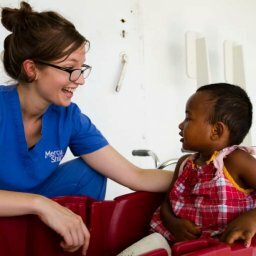 This is the fifth time Mercy Ships has served people in need in this beautiful West African nation.